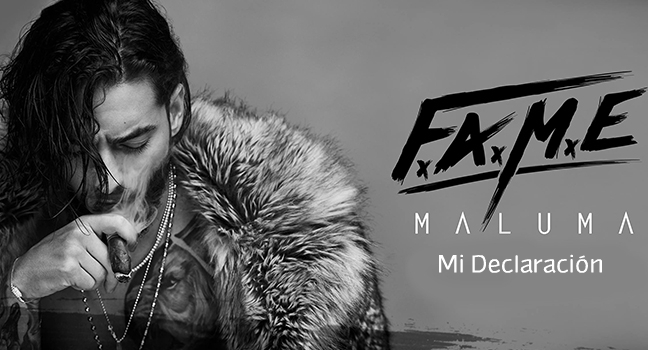 Maluma Today Released His New Album "F.A.M.E." "Mi Declaración" starts as an outright ballad, with Maluma singing simply over guitar - Marc Anthony style - then goes into a purely acoustic rumba/rap fusion, with help from Sid and Timbaland (who also produced) and a beautiful female-voice chorus in English. "Mi Declaración" defies description, yet still manages to fit into the album. And, kudos for handling the so-difficult bilingual element with nuance."